HMH Books for Young Readers, 9781328499219, 320pp. 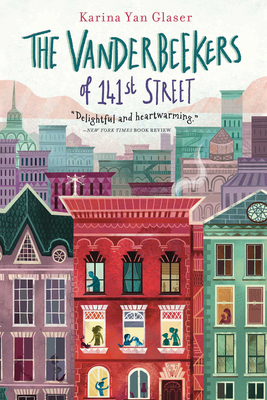 Karina Glaser is the author of The Vanderbeekers of 141st Street and The Vanderbeekers and the Hidden Garden. A former teacher and a contributor to Book Riot, Karina lives in Harlem, New York City with her husband, two daughters, and assortment of rescued animals. One of her proudest achievements is raising two kids who can't go anywhere without a book.